(a) The mark to market accounting approach is where a business is at liberty to revalue all the assets and liabilities in accordance with the fair market value. The resulting increase or decrease in value is then subtracted or added to the available profit distribution to shareholders to determine the business profit or loss. This type of accounting helps a company to record the value of an asset or liability based on current market value rather than the cost of the asset. The alternative to this method is the historical cost method that records the historical value of an asset and only uses the market value once an asset is sold (Amiram, Bozanic and Rouen, 2014). The mark to market accounting has been witnessed in the case of Enron in that it signed a contract that would see it provide power to a power plant, which was still under construction. From such a contract, Enron made declared the profits to be recorded. In such a case, the estimation of market value was inconvenient as some contracts ran as long as twenty years. For instance, a contract that was signed in July 2000 by Enron and Blockbuster Video ran for 20 years. Despite the question of the viability of the idea Enron went ahead to declare a profit of more than $110 million based on pilot projects (Palepu and Healy, 2013). This measure avoided the reality and was more of a dream created by Jeff Skilling as there was no market to mark. In a real sense, the company was losing a lot of many, which eventually forced the company to resort in manipulating the cash flow and balance sheet. This resulted in an abuse of fair value or mark-to-mark (Davis and Stone, 2014). (b) Special purpose entities are shell firms that are formed by sponsors and funded by independent equity investor and debt financing. In the case of Enron special purpose entities were used to fund the acquisition of gas reserves and the investor who put money in the special purpose entity would earn a stream of revenues from the sale of reserves (Plosser, 2018). The special purpose entities help to manage the risks associated with specific assets. Enron mostly used the special purpose entity to acquire forward contracts with gas producers and supply the gas under long-term contracts. The best part that Enron used a special purpose entity to its best was when it intended to acquire a partner’s stake in one of its joint ventures. The company formed a special purpose entity and named Chewco, which helped acquire the stake while all along allowing Enron not to disclose any debt from financing the acquisition. At the same time, Enron did not want to consolidate Chewco (Ahmed, Islam and Uddin, 2015). This was a clear indication of how Enron was skirting the accounting rules. Such rule includes the one that requires that the independent equity investor should own more than 3% of the asset and by violating this rule Enron understated it liabilities since it did not consolidate the special purpose entities. Moreover, the third part owner ought to have 50% financial interest in the special purpose entity. Moreover, Enron provided minimal disclosure regarding its relations with the special purpose yet the company was using the shareholders stocks as the guarantee for funds acquisition in the special entities leaving the company exposed to downside risk (Basu and Waymire, 2017). (c) According to Jeff Skilling, the aim of awarding the top management with stocks was to align the interest of the shareholders with those of the management. The management acts as an agent of the shareholders and in such a position; the management ensures that the shareholders’ interests are considered in company decision (Healy and Palepu, 2012). Another reason as to why the company was compensating the top management with shares was to ensure that they are always protecting their interest, thereby doing anything at the expense of the company financial health to ensure that the company share price favours their interest. By so doing this also ensured that the shareholders were happy as their shares were priced higher. According to the article, the stock compensation program was designed to make sure that the managers were motivated in making decisions that would pump up short-term stock performance rather than create medium and long-term value. In addition, the stock compensation program was initiated to ensure create an expectation of rapid growth, which is appealing to the shareholders, and at the same time exaggerate the reported earnings to meet Wall Street’s expectations (Kim and Im, 2017). (a) The five main elements of the financial statements are expense, revenues, equity liabilities and assets. These elements build up the financial statements, such as the balance sheet, which contain equity assets and liabilities, while the income statement contains revenues and expense (Ebarry, 2018). Listed companies use different measurement methodologies used to analyse the five elements of the financial statement. One of the methods is the historical cost method, which involves recording assets based on the amount of cash or cash equivalent for a fair price when acquiring the asset. For the case of liabilities, they are recorded in accordance with the proceeds received in exchange for the loan, or cash to be paid for instances such as tax. A good example of such a method in practice is the Lasani Stone Crushing Company when valuing its machines (Davis and Stone, 2014). Another method is the current cost, which is conducted depending on the amount of cash, or cash equivalent that would have otherwise been paid for an asset acquired currently. In the case of liabilities, they are recorded at the undiscounted amount of cash or cash equivalents that is needed to honour the obligation. Realizable or settlement value is another method, which requires that assets be carried at the value of cash or cash equivalent that an asset would fetch once sold or disposed. Liabilities are recorded as a cash settlement or cash equivalent value that is undiscounted and expected to be paid to settle the liability (Halí?, 2014). The present value method focuses on present discounted value, whereby the asset is carried at present discounted value of the expected net cash flow the asset is expected to generate in the normal course of business. Liabilities are discounted at the value of the future net cash outflows that will be enough to settle the liabilities in the normal course of business (Nash, 2017). The most common methodology adopted by companies in preparing financial statements is the historical cost. However, the measurement is coupled with other measurement basis, such as market value for marketable securities and lower cost and net realizable value for inventories. (b) The Lasani Stone Crushing Company mostly prefers the historical costing method while valuing its assets and liabilities during financial statement preparation. The main reason as to why the company opts for this method is due to its objectivity and reliability of accounting information. This is to mean that the amount of financial statements is not overwhelmed by subjective increase and decrease of values. This provides limitations in data manipulation, as there is an objective basis of recording business transactions, which ensures the reliability of the accounting information. Another reason as to why the company has used the historical cost method is due to its simplicity; this is that transactions are recorded at their original amounts. Therefore, no changes are made to reflect inflation. This helps the user of the information to easily understand the financial position of the company as well as make decisions easily(Brown, 2018). Finally, the historical cost method ensures consistency and comparability of the financial statements. The Lasani Stone Crushing Company prefers the method as it enhances intra and inter comparability of financial statements. This means that it is possible to compare the performance of the company from one year to another while at the same time manage to compare with other entities. This is very useful to the financial information users as they are able to determine whether the company is making progress or whether their competitors are catching up (Staff, 2018). The historical method has proved to be objective and reliable, simple and convenient as well as consistent and comparable. However, the method has a downside in that when it comes to accuracy, the method fails to represent the current market value of assets on the financial statement. Another disadvantage is the overstatement of figures in that profits are dependent on measuring capital on different dates. This fails to represent shareholders purchasing power since it is a comparison of two meaningless figures(Brown, 2018). Finally, the historical method gives a misleading impression that the company can continue operating at a given level, as the assets are undervalued. On the other and the historical method is the most preferable compared to the other methods as it minimizes the room for manipulation in comparison to the other methods. In light of the analysis conducted in the paper, it evident that a slight change in the accounting standards can lead to misrepresentation of items in the financial reports of a company. Enron turned out to be an exaggeration of financial information and manipulation of accounts yet the company lived of Jeff Skilling dreams. Despite the craftiness of Enron top management, the analysis has determined that the accounting regulations are not airtight and can be manipulated by those with malicious intent. Therefore, apart from the regulations it is useful to back the regulations with proper and hefty punishment that would deter individuals from engaging in accounting malpractice. 1.Accounting for Management (2018). Historical cost concept - explanation, examples, importance, exceptions, advantages | Accounting for Management. 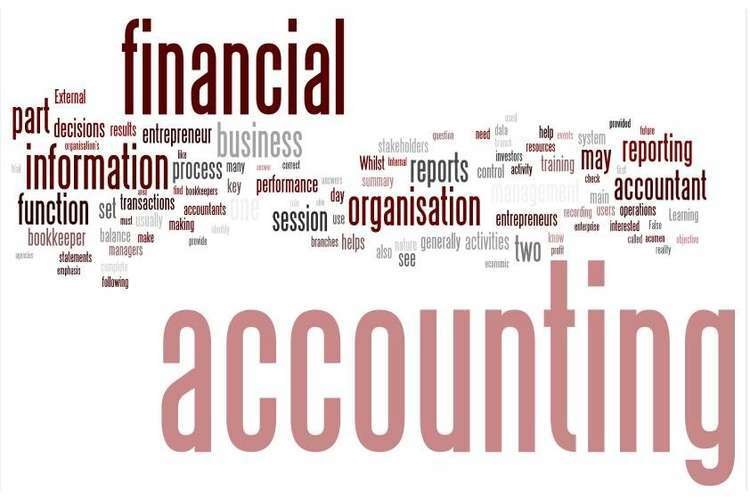 [online] Accounting for Management. Available at: https://www.accountingformanagement.org/historical-cost-concept/ [Accessed 26 Sep. 2018]. 2.Ahmed, A., Islam, M. and Uddin, M. (2015). ENRON: Fall of a Creative Accountant. SSRN Electronic Journal. 3.Amiram, D., Bozanic, Z. and Rouen, E. (2014). Financial Statement Irregularities: Evidence from the Distributional Properties of Financial Statement Numbers. SSRN Electronic Journal. 4.Basu, S. and Waymire, G. (2017). Historical Cost and Conservatism Are Joint Adaptations That Help Identify Opportunity Cost. Accounting, Economics, and Law: A Convivium, 0(0). 5.Davis, E. and Stone, M. (2014). Corporate financial structure and financial stability. Journal of Financial Stability, 1(1), pp.65-91. 6.Ebarry (2018). Conceptual Framework for Financial Reporting 2018. [online] Iasplus.com. Available at: https://www.iasplus.com/en/standards/other/framework [Accessed 26 Sep. 2018]. 7.Fox, L. (2013). Enron. Hoboken, N.J.: Wiley. 8.Healy, P. and Palepu, K. (2012). Governance and Intermediation Problems in Capital Markets:Evidence from the Fall of Enron. SSRN Electronic Journal. 9.Halí?, Z. (2014). Accounting System and Financial Performance Measurements. European Financial and Accounting Journal, 2011(3), pp.38-65. 11.Kim, J. and Im, C. (2017). Reported Profits And Effective Tax Rate Following Accounting Standards Changes Analysis Of Consolidated Financial Statements And Separate Financial Statements. Journal of Applied Business Research (JABR), 33(6), p.1171. 12.Palepu, K. and Healy, P. (2013). The Fall of Enron. SSRN Electronic Journal. 13.Parker, L. (2015). The Smartest Guys in the Room: The Amazing Rise and Scandalous Fall of Enron. Research in Accounting Regulation, 18, pp.353-356. 14.Plosser, C. (2018). Financial Econometrics, Financial Innovation, and Financial Stability. Journal of Financial Econometrics, 7(1), pp.3-11. 15.Staff, I. (2018). Current Rate Method. [online] Investopedia. Available at: https://www.investopedia.com/terms/c/currentratemethod.asp [Accessed 26 Sep. 2018].